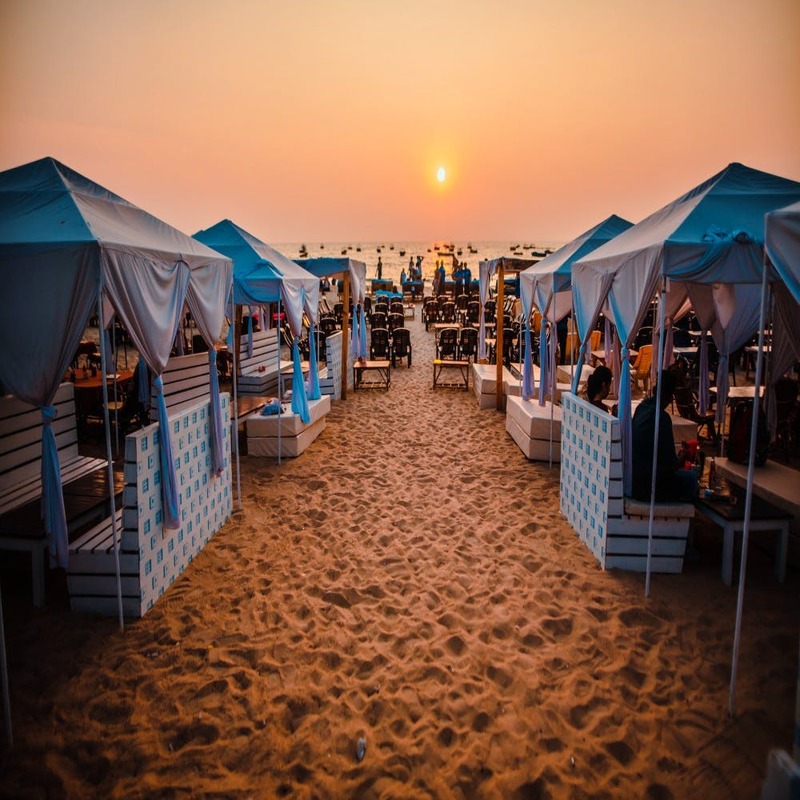 Baga Paralia is a new lounge at Baga beach that’s got a dance floor, heady cocktails and seaside cabanas to watch the sun go down with your pals. And, in case you’re looking at hosting a few folks for a private party, they’ve got that sorted too. While there’s no dearth of restaurants in Baga catering to hungry party goers, this one is a welcome change. A little over a month-old, we love that they’ve got sections that can host bigger groups without making the restaurant look too cramped. And God, is theirs one of the most well-stocked bars we see? Open till 3am, they’re all about showing you a good time. So, whether you’re hankering after some local grub like cafreal and vindaloo or just craving proper North Indian platter after a long swim, their multi-cuisine menu’s a saviour. Think everything from tandoori grub to Continental, salads, North Indian, pasta, sandwiches, Chinese and more. Now tell us if you can think of any of your friends or fam who’ll fuss about not getting to eat what they like? We literally can’t think of anyone. Personally, we’ll go for the seafood any day but their tikkas aren't too bad either. If after reading this you still haven’t got the drift, let’s put this out more clearly. Don’t mistake this for a quaint hideout for low-key evenings. Paralia is loud and proud; it’s all trippy lighting, groovy music and hookah bearing for a long night of being on the beach and partying. So, go here and get wasted — all that whiskey, champagne, wine, beer, gin, vodka, cocktails, shots and mad alcohol is calling out to you. Oh, and you said your boss wants to host an offsite or friend wants to get married in Goa? Call the Paralia folks for party packages. They can accommodate up to 100 people. You can drive up here without stressing. Thankfully, they’ve got their own parking lot.